As above so below. The Tree of Life is one of the most common symbols across spiritual cultures. From the Ancient Sumerians and Egyptians to the Mayan, Nordic and Kabbalah traditions the tree of life is present in some form. Knowledge, Life, the physical and the spiritual planes, hell, earth, and heaven are some of the concepts represented by the Tree of Life. 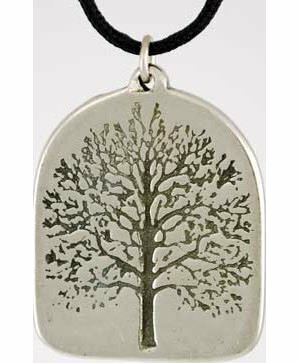 This Pewter, 1" by 3/4" amulet comes with a cord and is made in the USA.